In the past week, 8 brave police officers have lost their lives to assassins. And yet, Obama didn't fail to fit in a round of golf after his $4,500,000 trip across Africa. Oddly, it only took Obama a few days to address the "clock boy" incident, touting the young boy as a hero (for what exactly, I'm not sure). One sheriff has had enough though. 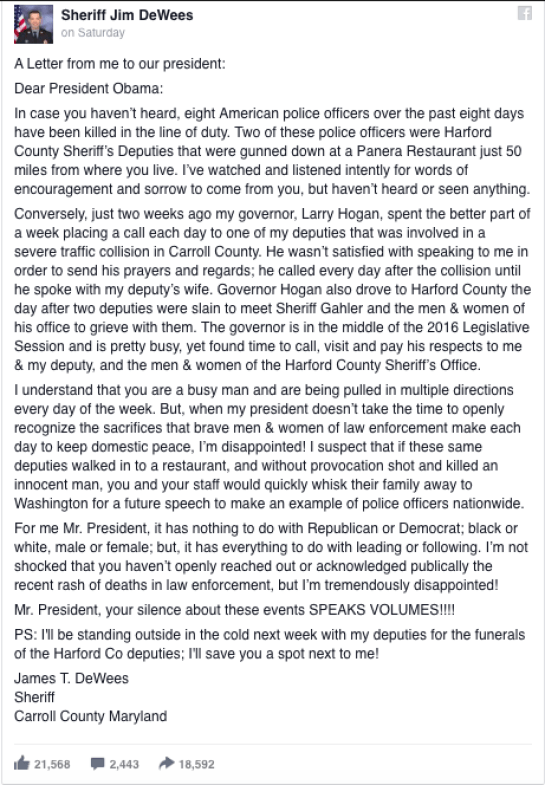 He decided to make a public statement to Obama about his extreme lack of care in the officers' deaths.